Crisp DNA spreads to New Zealand! Sometimes people approach us at Crisp, and ask if we would consider starting a subsiduary in country X or Y. About a year ago Sandy Mamoli came from a long way (New Zealand) and visited the Crisp office to discuss our model. Actually,we’ve bumped into each other at a number of conferences around the world, sharing ideas discussing different ways of running consulting organizations. How we coach at Crisp! Seal Seals dive deep down and stays down for a long while. They are faithful, they like problems and to stay with them until solved. Equipped with a great sense of smell, they can track bad code miles away and home in their buddies on the prey. Duck Ducks will swim along at the surface on the pond, tracking what goes on. Occasionally they take deep dives. Ducks are especially well equipped with improving teams engineering practices and removing complex obstacles. A duck will follow a team until new ducks evolve and can pollinate other areas. Albatross Albatrosses are quite noisy and you will find them talking passionately until new food is available. They like to keep perspective on things. Albatrosses search for buddies at courses and training events. The secret inner wish for an albatross is to return to the pond and to play with the ducks. What is the Bun protocol? UPDATE (2015): The Bun Protocol is now part of the Crisp DNA, see the latest version of the Bun Protocol here. The Bun protocol (“Bullprotokollet” in Swedish) is a lightweight, decentralized request routing protocol. It is designed to be the simplest possible way to handle requests that are shared by a distributed group of people. We have used this protocol for all kinds of external client requests for years now, and it works surprisingly well, so I’d like to share it. So, a bun should be eaten fairly quickly or thrown away. No use stuffing it in a box. If you can’t eat it yourself, offer it to someone else – before it gets cold, dry and hard! I get an email “Hi, we want a TDD course at company X. What will it cost and when can you come?”. Now I have a bun! I meet someone at conference who says “I want to join your company!” Now I have a bun! A bun is born when someone asks you for something and you decide that “hey, this is a bun”. In my case that is usually through the email inbox, but sometimes they appear when someone calls me or approaches me directly. A bun always has an owner – the person who received the bun. Or more specifically, the person responsible for the communication channel through which the bun appeared. For example at Crisp, Lena is responsible for info@crisp.se. I am responsible for emails directly to me. Etc. When you have a bun, you are responsible for taking care of it before it gets too dry! Preferably within 1 working day, definitely within 2. Eat it yourself. For example “Sure, I can come and do a TDD course at your company”. The bun is now consumed, i.e. it has found a home and will not be routed anywhere. Give it to somebody else. For example to a colleague who is more suitable than you, or another company. If you don’t know exactly who should take, email a broadcast to your colleagues or trusted partners: “Hi folks, does anybody want to take this bun?” Note that the bun is still yours until someone else takes it! If that takes more than a day or two you need to keep the bun warm (for example tell the customer that you are searching for someone who can help). So you can’t push the bun to someone, you can only offer it. The receiver has to pull the bun from you. The one thing you should NOT do is just let the bun sit and dry. Better to explicitely throw it away in that case (i.e. tell the sender that we can’t help). So initially a buns appears through a “push” protocol, i.e. the initial recipient gets the bun whether he wants to or not. After that, however, everything is “pull”-based. A bun should not get more than 1-2 days old without being eaten by somebody, thrown away, or reheated (by talking to the customer/sender). You can’t push a bun onto someone else. The bun is yours until someone else explicitly takes it (for example by saying “I’ll take the bun”). You can of course recommend (or even try to convince) someone else to take it from you. This goes both ways – if someone offers you a bun, you don’t have to respond if you aren’t interested. Broadcast an email to everybody who might be interested or involved in this bun. Send the bun to “upwards” or to a central person such as CEO or sales lead. For example if a bun seems to be strategic and might lead to something larger, get in touch with somebody who’s job is to see the big picture. We don’t always succeed in following these rules, especially the 1-2 day age limit. But we really try our best, and we’re at least aware of when we fail. Does this work for all types of requests? Don’t know. But it has worked well enough so far, and we haven’t come up with any kind of request where it wouldn’t work. What if it is a business-critical request? Shouldn’t the CEO or sales manager or some other authority handle it? Who received the request? The CEO? The sales manager? Well, then he already has the bun. Or did you receive the request? Well, do you think it is business critical and should be handled by the CEO? In that case get in touch and ask him to take it from you. If you don’t know what to do, broadcast it to all your colleagues & partners and ask who wants to take it. But don’t forget that the bun is still yours until somebody else explicitly takes it from you. But what if I accidentally throw away an important bun!? Example: Customer X calls me and says he needs agile coaching. I respond “Sorry, but I can’t help right now.” But I didn’t know that my colleague Hans was available and could have taken this client, and I didn’t know that Customer X was an important strategic customer. Ouch. I shouldn’t have thrown away that bun. Would have been better to email my colleagues and at least given somebody a chance to take the bun before I threw it away. Live & learn. Why not forbid people to throw away buns? What if *all* sour buns received by *everyone* were routed to the CEO or the whole team? That would be a horrible waste of time. There is great strength in having “waste filters” at all inputs channels to the organization, so we can focus on the important buns rather than waste time on obviously sour ones. Sure there is a risk that we might accidentally filter out some good buns, but that’s OK. Our policy is “ask for forgiveness rather than permission”, and learn as we go. Traceability can be useful, for example you can write the buns into a backlog or CRM system or something. That doesn’t conflict with the bun protocol, you could just add that on top. Just keep in mind that traceability has a cost. The overhead cost of each bun will increase, due to writing & reading & updating information in a tool. Won’t a bun get dry if it gets sent around between people for too long? Yes. So keep that in mind when you pass around buns. Check the age, all emails have dates. Use common sense. If it is an urgent bun, it is getting old and you want to send to someone else, then call instead of sending email. Or write “URGENT” in the email subject. Be very clear in your communication. 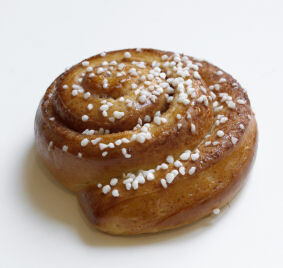 At Crisp we use the email subject prefix BULLE (Swedish word for Bun) for bun-routing emails. For example “BULLE: 3 månader Javauppdrag i Solna”. What if several people want the same bun? Stricly speaking, the first person who takes a bun has it. And you can’t take a bun from someone unless they offer it to you. In practice, whenever a potential conflict arises the involved people talk to each other (by phone or email) and decide on who should take the bun, based on who can serve the client best, who needs the bun most, and other relevant factors. We’ve used this protocol for several years within Crisp, a group of 20-25 consultants, and I can’t remember a single serious conflict around bun routing. We get *potential* conflicts regulary (typically 2-3 people offering to take the same bun), but it is always resolved in a gentlemanly fashion, using good ol’ communication and trust between the interested parties. I help you today, you help me tomorrow, and in the long it run it more or less evens out. Why does this protocol work? Simple, anybody can learn in 5 minutes. Can be extended as needed. New rules can be added, tool support can be added. But don’t. Keep it simple and add stuff only if you really, really need it. Doesn’t require any specific artifacts or documents that need to be maintained (unless you add that layer yourself…). Decentralized – uses “wisdom of the crowds” to ensure that buns reach the right destination in the shortest possible time with the least possible effort. People as such as a sales manager can focus on important stuff and not become a bottleneck for all kinds of trivial requests. It scales. I haven’t tried in a bigger group then 25-ish, but I think it could scale to much higher. Customer focused – customers normally get a response within a reasonable time. It is Lean – we minimize work in progress and maximize flow by ensuring that buns are handled quickly and don’t pile up in queues. We minimize waste and stress in the system by discarding sour buns quickly. We still have the option to centralize & escalate on a case-by-case basis. If someone bumps into a bun that needs to be escalated to some central authority (such as CEO) then that can be done immediately. What are the alternatives to the bun protocol? Alternative A: I can do whatever I want. Perfectly fine to let the email sit unanswered in my inbox, or throw away the email without answer the client. Result: Lost business, disappointed customers, disappointed colleagues. My friend might have wanted that client, and I dumped it. Next time he’ll dump a client that I would have wanted. Alternative B: All client requests have to be sent to person X (for example the sales manager). Result: Sales manager becomes a bottleneck. He becomes ineffective and stressed, clients don’t get timely responses. And we miss the chance to utilize the collective intellect of the rest of the team. Alternative C: I have to be responsible for this request until it is completely resolved, I can’t hand over to someone else. Result: Stress and ineffectiveness, since I can’t detach from a request that doesn’t interest me. If I get a request that is more suitable for someone else, it is more effective for all parties if I connect the client with that person and eject myself from the loop. Nah, I like the bun protocol better. It introduces the minimal amount of discipline and rules without becoming a burden. What are the potential disadvantages of the bun protocol? Ekonomen George Akerlof skrev 1970 en uppsats som beskrev informationsassymmetri i vad han kallade "Market For Lemons". Det exempel han använde var marknaden för begagnade bilar, där säljaren alltid vet mer om den bil som säljs än potentiella köpare. Säljaren vet oftast hur välskött den är, hur den körts, etc. Köparen, däremot, har svårare att avgöra bilens kvaliteter. Visst, det finns ofta en servicehandbok han kan läsa, men hur är bilen körd? Buskörd av en yngling, eller av en försiktig 47-åring? Detta skapar informationsassymmetri, vilket ger intressanta följder. Säljaren av en bra bil vill ha bra betalt, medan köparen sällan är villig att betala mer än för en bil som har genomsnittskvalitet. Detta gör att säljare av välskötta bilar missgynnas, vilket gör att de inte tycker det är lönt besväret. Kanske försöker de sälja bilen på annat sätt, exempelvis till en bekant som litar på kvaliteten. Detta betyder att de bästa bilarna sakta men säkert försvinner från den öppna marknaden, eftersom genomsnittspriset bara sjunker. Kvar blir bara dåliga bilar, och då har man fått en "Market For Lemons". Denna terori om informationsassymetri gav Akerlof och två andra nobelpris i ekonomi 2001. Men har detta någon som helst relevans för konsultmarknaden? Ja, jag menar det. I en säljsituation vet konsultsäljaren mycket mer än köparen om den konsult som är "till salu". Köparen vet ofta nästan ingenting, annat än vad som går att läsa utifrån den CV som presenteras. Med lite tur finns konsulten på plats under förhandlingarna, så att köparen kan ställa frågor. Ibland kan köparen också hitta lite information på nätet. Men hur effektivt är detta? Den CV som konsultköparen får se har ofta skrivits just för det uppdrag som diskuteras. Det ger ofta inte en rättvis bild av konsultens egentliga erfarenhet av de tekniker som ska användas. De allra flesta konsultföretag döljer sina konsulter på nätet, av minst två anledningar. För det första är man rädd att konkurrenter ska ringa dem direkt och locka dem att byta arbetsgivare. För det andra så så vill man behålla informationsassymmetrin. Så länge ingen information finns att tillgå om någon av företagets konsulter så måste köparen förmoda att de är av genomsnittlig kompetens. Men så är naturligtvis inte fallet. Om de visste mer om de enskilda konsulterna så skulle de vägra hyra de som inte är duktiga, och insistera på att få plocka russinen ur kakan. Det är inte i det flesta konsultföretags intresse. Konsulter uppmanas traditionellt inte att berätta något om sina svagheter under intervjuer. Våra CV:s finns också där, öppet på webben, vilket gör att om vi skriver en specifik CV för ett specifikt uppdrag, så kan du jämföra den med vår vanliga publika CV och avgöra om den du fått är skruvad på ett orimligt sätt för att passa just det uppdraget. Här är min CV i HTML-format. Alla som vill har en egen blog. Där kan du avgöra om du tycker en kandidat kan förklara tekniska saker i text. När vi på Crisp håller föredrag på konferenser, eller håller kurser, så publicerar vi ofta vårt material på vår blog. Samma sak gäller det material som används i vår internutbildning, där materialet ofta läggs ut. Ta en titt får du se. Vi kan även berätta om våra svagheter. Nästa gång du söker en konsult till ett uppdrag, ta en funderare över varför du inte kan hitta någon information om dem på konsultföretagets webb. Vem tjänar på att informationen är assymetrisk? På Crisp delar vi med oss av vad vi kan, vad vi tror, tycker och brinner för. Vi vill vara så transparenta som möjligt! Vi tror att det är i vårt, och ditt, intresse. Here is an english translation of these pictures. The first picture is titled “What is Crisp?”. It defines our purpose. The second picture is titled “Crisp strategy”. It defines how the company works and why. Both papers are hand-drawn using a lead pencil. Why? Well, so we can change it easily! Anybody can change & improve it. Usually we do it at our internal conference (twice per year), and do a consensus vote to ensure that everybody agrees that the change is for the better. We already have a vision and strategy. It just isn’t described in text. So instead of trying to define a perfect vision & strategy, let’s try to discover the one we already have and put words to it. Make it physical, draw it on paper rather than on the wiki. That way it really exists. We can look at it, point at it, take it with us, change it. And there is only one master copy, the physical one. Any photos or replications are just that – replications. Draw it in pencil, so it is clear that this isn’t perfect or final. It is something that can be improved over time. Limit the space. If we can’t fit so much stuff, we have to pick our words and pictures carefully. And as an added bonus it is easier to remember (and therefore easier to relate to). Make it highly visible. Put it on the wall in a prominent location in our office, bring it to all conferences. Put photos on the front page of the wiki. Get buy-in. Ensure that everyone agrees that this is our vision and strategy. I decided to limit it to one single A3-sized paper. Eventually it turned into two, but never mind that for now. The first A3 was supposed to answer the question “What is Crisp”. Our identity and, in a sense, our vision. To answer this question I decided to meet everyone at Crisp individually (about 15-20 people at the time) and ask the simple question “Why are you here? <working at Crisp>”, and wrote down the first words that came out of each person’s mouth. I met just about everyone, and called the people I couldn’t meet. I figured that it can’t be a coincidence that such a group of inspiring & talented people end up at the same company, there must be some kind of common set of values. And much to my relief, there was. So I simply wrote down the values that everyone seemed to have in common, the values that attracted them to Crisp and kept them there. I also tried to define a scope – as in “what is Crisp, and what is Crisp not?” After all the interviews it was pretty clear – we are IT consultants. We do all kinds of stuff within IT, we work within lots of different businesses (banking, gaming, media, etc), and in lots of different roles (developer, coach, manager, trainer). But it is all IT related, and it is all somehow related to consulting. So I wrote this down, drew a cute and simple visual representation of these words, and voila – the first A3 was done. I’d say the whole process took less than a couple of days of actual work (but several weeks of elapsed time). Next step was to seek buy-in from the whole group. Without that, the whole exercise would be useless. I found a very useful trick for this. Instead of asking “what do you think of this, is it OK?”, I said “Here is our identity. Can you think of a better description?” That way there is no way we could end up with nothing. Either my version is OK, or someone will propose a better one and I could ask the whole group to vote which one is best. After a couple of iterations of meetings and minor modifications we had a version that the whole group accepted and liked. We had an identity! I realized that something was still missing though. The “what is Crisp” A3 was a very important statement, but it wasn’t very concrete. It didn’t say anything about how the company actually worked, how we succeed, how we differentiate from other companies, etc. So I decided to create another A3 for that. It felt important to separate them though – the first A3 is about Why, the second A3 is about How. I realized that we had been pretty successful as a company so far, and that it wasn’t really clear to most of us HOW we had succeeded. I was convinced that this knowledge would help us continue to succeed (or succeed even better) in the future. So I pulled out another blank A3 sheet and wrote “Crisp Strategy” at the top. This one turned out to be easier than the first. I started thinking about what had made us succeed so far, and talked to some colleagues. The list became quite long, so I turned it into an FAQ and prioritized the list. I then started pasting items (physically!) on to the A3 paper, in priority order, until it was full. 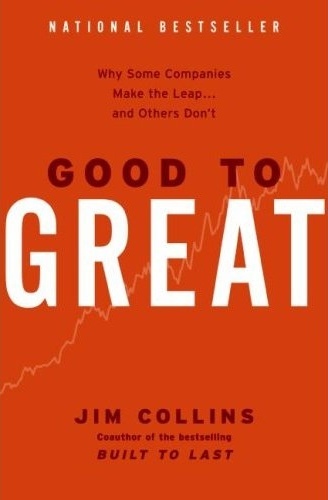 With these books in mind, I drew a Cause-Effect diagram in the bottom right corner of the A3, illustrating two positive reinforcing loops that I believe have had a strong impact on our success as a company so far. In fact, I wasn’t really aware of the loops until I actually drew the picture! Good reputation increases our motivation further & attracts new competent people to our company. Higher profit means people can afford to spend time learning new things (instead of trying to make every hour customer-debitable), and feel more safe doing so. Taking time to explore and learn new things together makes us more motivated and more competent! Consequently, we should focus on keeping ourselves and our customers happy, not focus on making money. Good reputation and profit is simply a side effect of keeping ourselves and our customers happy. This was an eye opener! By the way, I’ve found cause-effect diagrams to be useful in all kinds of situations, so I wrote an article called Cause-effect diagrams: a pragmatic way of doing root-cause analysis. What was the impact of making our identity and strategy explicit? The two A3s came up on the wall in spring 2009 and have been part of our culture ever since. When visitors come to our offices I see colleagues point to the A3s and describe them. We do training courses in our office fairly regularly, and every time at least a couple students start asking about the A3s and get very inspired. I’ve been invited several times to help other companies do the same. When we have important decisions to make in the company, or problems or conflicts, I often hear people refer to our core values and use those as a guide to resolve the decision/issue/conflict. We bring both A3s to our internal conferences and put them up on the wall there. People gather around it, talk about it, sometimes propose improvements or discuss our current strategy. The papers become a focal point. Now a days one our primary metric is “Nöjd Crispare Index” (in english: “Happy Crisper Index” or “Crisp happiness index”). Scale is 1-5. We measure this continuously through a live Google Spreadsheet. People update it approximately once per month. What feels best right now? What feels worst right now? What would increase your happiness index? We chart the history and how it correlates to specific events and bring this data to our conference. Whenever the average changes significantly we talk about why, and what we can do to make everybody happier. If we see a 1 or 2 on any row, that acts as an effective call for help. People go out of their way to find out how they can help that person, which often results in some kind of process improvement in the company. This happened last week, one person dropped to a 1 due to confusion and frustration with our internal invoicing routines. Within a week we did a workshop and figured out a better process. The company improved and the Crisp Happiness Index increased. Crisp Happiness Index is more important than any financial metric, not only because it visualizes the aspect that matters most to us, but also because it is a leading indicator, which makes us agile. Most financial metrics are trailing indicators, making it hard to react to change in time. As a result of understanding our own values better, we’ve dramatically changed our partnership contract between Crisp stock owners. We’ve literally made our own stock worthless (at least from a pure monetary perspective) – it is now pretty much impossible to get rich by buying or selling Crisp stock. This is by design, because we realized that the purpose of Crisp is not to enrich it’s owners – in fact a model that enriches the owners would conflict with our real goal – to be a home for IT consultants. So there is nothing stopping Crisp consultants from earning money (and some earn quite a lot). But Crisp itself is essentially a non-profit organization, and there is no monetary benefit to being an owner/partner. We also learned about our growth plans and recruitment approach. The question “how big should we get” (as in how many people should work at Crisp) had come up several times in the past. Now we realized that this is not a parameter we should be controlling. We noticed that, with our model, we don’t have to actively recruit. People come to us instead.The size of our company is a consequence of two balancing forces: how many good people come knocking on our door, and how much growth pain we are experiencing. The “Crispare Happiness Index” helps us see growth pain. When we interview new potential recruits we bring the A3s (or photo printouts in case we aren’t near the office) and talk through it. The response is usually very positive, they love it! I’ve also noticed that many of us have internalized (memorized) the words on the first A3 and use them when describing Crisp to other people. We don’t all describe it the same way, but that’s OK. Different people emphasize different parts depending on their own priorities and who they are talking to. But nobody disputes the core values, they are the glue that keeps us together. Why tell the world about this? Why am I writing about this? Isn’t strategy something that a company should keep secret? What if our competitors find out? What if they copy us? It’s the same reason I give away almost everything else that I do – music, books, articles, code, etc. We do a lot of experimentation at Crisp, but all in all I’d say this particular experiment was the most successful one – i.e. highest benefit with least effort! Like most startup companies (Crisp was started around year 2000) we’ve had our share of internal conflicts. But having a clearly stated set of values and a matching strategy has certainly helped us avoid new conflicts. Or, more like, helped us identify and solve potential conflicts early while they are still small and simple. The important thing is not really the content of the A3 sheets. The important thing is how they were created, how they are used, and the fact that we now have an explicitly defined identity & strategy, which makes it easier to criticize and iteratively improve over time. One of the ancient mysteries of science is why toasted bread is less filling to eat than non-toasted bread. There seems to be no end to how many toasted slices of bread you can stuff yourself with, but the same type of bread untoasted makes you pretty full pretty fast. A revolutionary scientific breakthrough was made this evening bringing us closer to the Answer, as researchers Sia and Henrik decided to test one of their hypothesis: toasted bread weighs less and therefore makes you less full. This unique insight is the result of many years of innovative research and analysis. "The idea just came to us one day" says Sia, modestly explaining this stroke of genius. The experiments may look simple, but did in fact involve rather sophisticated test equipment and procedures. In this experiment the researches measured the weight of a single frozen slice of white bread. In this experiment the researches measured the weight of a the same white bread, but now thawed to room temperature. In this experiment the researches measured the weight of a the same white bread, but now toasted to a crisp. In this experiment the researches measured the weight of a the same white bread, but now toasted even further to a very crisp, or "well done", state. The graph below shows how the weight of the bread changes as the bread is processed. There seems to be a fairly clear pattern of the weight decreasing as the bread gets more and more toasted. The most relevant case for our studies is that of a slice at room temperature being toasted to a Crisp, as this represents the typical action for a person eating toast. In that case the weight loss was 15.60%. This experiment provides strong evidence that the hypothesis – that toasted bread weighs less – is correct. However, this does not necessarily mean that weight loss is the only explanation for why toasted bread is less filling to eat. Toasted bread weights approximately 15.60% less than non-toasted bread. However, we believe that an average human being can eat more than 15.60% compared to its non-toasted equivalent before feeling full. In fact, personal experience indicates that the factor is somewhere around 105%, i.e. an average human being can eat more than twice as much bread if it (the bread) is toasted. So if weight is only part of the Answer, what is the rest of the answer? There are several possible explanations, which hopefully will be tested in future research. Toasted (Crisp) bread tastes better. So we eat more, and perhaps don’t feel as full for that reason. However, research is complicated by the fact that the Very Crisp bread sample, as well as the Frozen bread sample, is disagreeable to eat. Toasted bread is warmer than non-toasted, at least initially. There may be a correlation between bread temperature and the digestion efficiency, since the human body is warmer than room temperature. Experiments would have to be made with toasted bread that is left to cool down. Toasted bread contains less water than non-toasted bread, due to evaporation. Experiments could be made with bread that is left out to dry. This, however, has an adverse effect on taste. See the first point above. Environmental circumstances: toasted bread is often consumed with marmelade and tea compared to it’s non-toasted eqvivalent. This might make the digestion process more lean. In short – Crisp is lean, tastes better, and you can never quite have enough. We have yet to figure out exactly why this is the case, but the research above has brought us closer to the Answer.